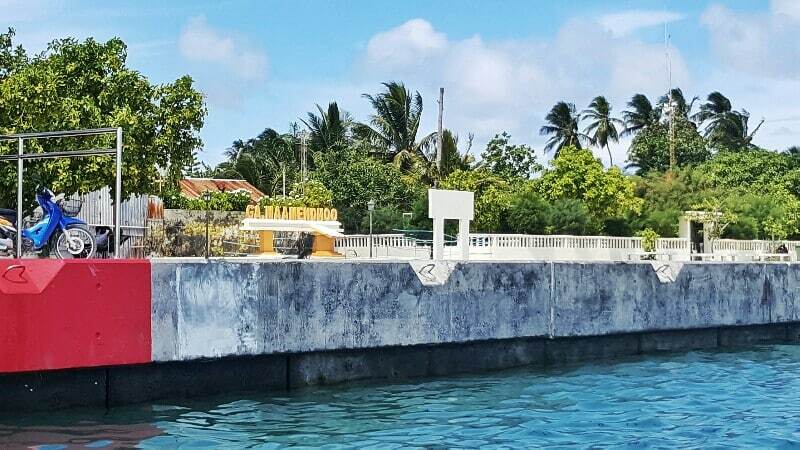 After spending a long weekend back in Gaafu Alif Nilandhoo, we managed to get back on course today, catching a private launch north with the atoll ferry service (expected yesterday) out of action til at least Thursday. A mixture of bad weather and bad luck seemed to be scuppering the next stage of our journey. But, as weather warnings still swirl around much of the rest of the country, Huvadhu atoll was all blue skies and hot sun as we hopped off the harbour and into the launch. Five minutes later we hopped back out as the boat’s squealing control panel insisted the engine was overheated. We were starting to empathise. Maybe we’ve heard one too many stories of fanditha on the islands, but we began to wonder if there was something more to the delay. But, after another ten minutes, filled with many goodbyes and one swordfish, we were back on board and curving out around the island to skirt the outside of the atoll and safely into Maamendhoo’s harbour. Planning ahead a couple of steps, the first thing we learned about this island is that ferries from here leave for Villingili everyday.